Since state Medicaid programs are responsible for the healthcare of several populations, skyrocketing prescription drug costs have become a major budgetary concern. 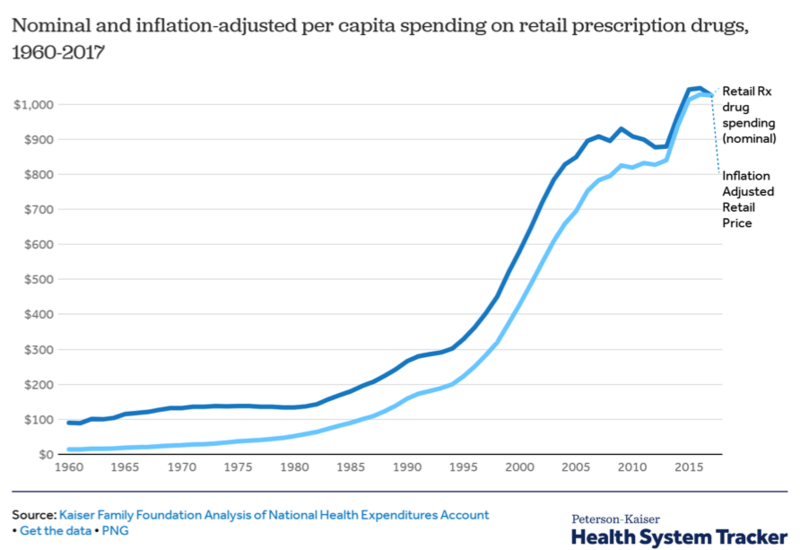 Currently, health care spending is dominating many of their budgets and on a per capita basis, inflation-adjusted retail prescription drug spending has increased from $90 in 1960 to $1,025 in 2017. Due to the pressure from these rising costs, states are turning to a variety of methods to curb costs through the use of legislation and revised purchasing models. While the impact of politics and policy are uncertain, both Medicaid enrollment and drug costs continue to rise. Therefore it will be important for state Medicaid programs to explore every opportunity to improve efficency. In California, Medi-Cal alone consumes 15% of the state’s general funds, and over the past several years, the proportion of the population on Medi-Cal has reached 29%. With nearly one-third of the state’s population enrolled in the program, California’s Governor, Gavin Newsom, signed an executive order in January to consolidate the state’s purchasing power in order to negotiate lower drug prices. The order is part of the governor’s “California For All” agenda and is scheduled for implementation on January 1, 2021. However, in order for the change to go into effect, it will require approval from CMS and it is unclear as to how they will respond to the ambitious proposal. In 2018, Ohio announced that its managed care plans could no longer contract with PBMs that utilize “spread pricing”. The state’s Medicaid department objects to the payment model since it lacks transparency and also because PBMs can profit from it by purchasing the medication from a dispenser at a lower rate than what they charge plan providers. Starting in January, The Ohio Department of Medicaid mandated that MCOs adopt “pass-through” payment models to promote transparency and reduce costs. Under the new payment model, Medicaid plans are charged the same amount for prescriptions that a PBM purchases them for. PBMs are then paid an administrative fee for each prescription filled. In West Virginia, employee health plans were paying 1% more for pharmacy claims than the PBMs paid the dispensing pharmacy. Lawmakers determined that the 1% cost the state $10 million each year and decided to eliminate the use of PBM’s entirely. Since then, West Virginia has returned to a fee-for-service model that employs the help of West Virginia University to determine which medications are available. The Bureau of Medical Service’s Office of Pharmacy Services (OPS) then pays for each prescription. While the state’s administrative efforts could alleviate some pressure, they also need to understand that there is a tremendous amount of opportunity for cost savings in regards to improper payments. 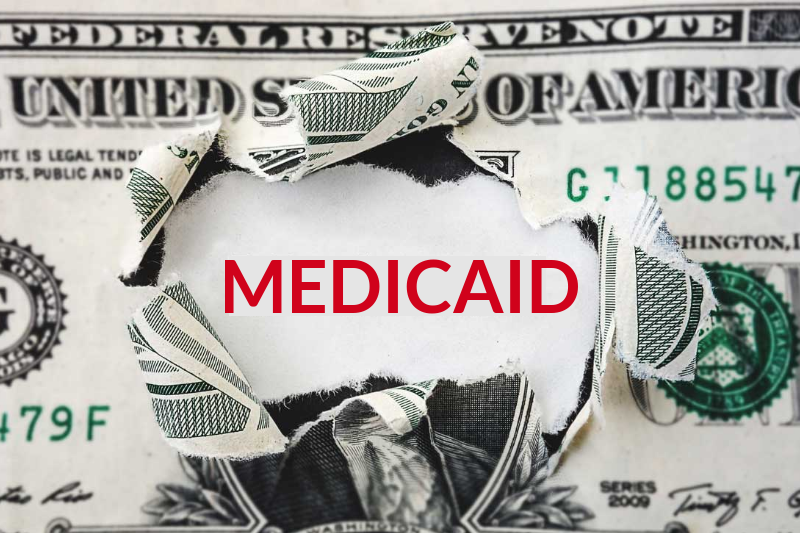 Improper claims payments in the Medicaid program have developed into a $37 billion dollar problem and a common misconception surrounding these payments is that they are solely a result of fraud and abuse. While fraud and abuse do contribute to payments made in error, they only account for 43% of improper payments. The majority of these payments actually stem from Third Party Liability (TPL) identification issues. The Coordination of Benefits (COB) and determining TPL is complex. It requires timely data and the management of multiple data sources. The Medicaid population has a high rate of churn and is in near-constant flux. Eligibility data is not coordinated between federal and state systems and is often inaccurate. Up until now, there has been no reliable way to identify unreported primary health coverage. For the sole purpose of supporting the TPL needs of Medicaid programs, Syrtis Solutions offers a proactive cost avoidance approach to improper payments. By leveraging e-prescribing, the company is able to access active Rx coverage while identifying the corresponding medical coverage as well. This means that Medicaid plans can prospectively cost avoid pharmacy and medical claims accurately and timely. In addition, their solution can target beneficiaries that are actually generating claims rather than trying to maintain data on each plan member.